If you were an imaginative child who saw bunny rabbits in clouds, and liquid spills often took on the shapes of footballs or unicorns, you might have seen some black mold or damp spots on the walls of your youth that resembled a number of things. One particular friend to the mold remediation industry once swore that a leaking pipe behind a wall caused a water spot to appear that gradually took on the semblance of Boba Fett—the mysterious and allusive bounty hunter from the ‘Star Wars’ films. While some people may be delirious with elation at the thought of having the mighty Boba Fett appear in the form of a water stain gracing their parlor walls, unseen havoc can be taking place within the walls where mold spores could be multiplying as quickly as clone troopers populated for the Battle of Kashyyyk. 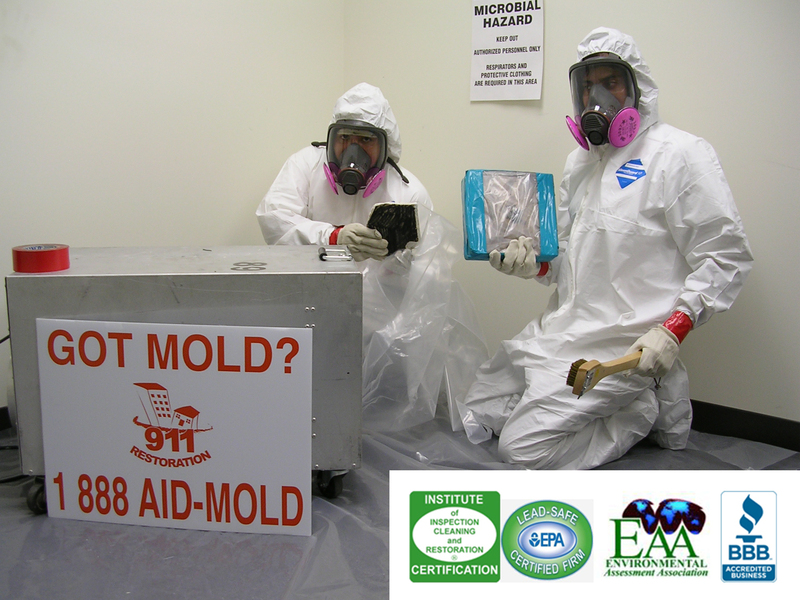 By calling a mold remediation specialist you can help protect your home and family from the health hazards mold poses. The perfect recipe for mold growth consists of having a moist environment in dark, cool places. In other words leaking pipes beneath walls or water heater pipes in the basement can cause slow leaks that breed mold. Bathrooms are especially vulnerable to mold, as they experience daily moisture and if not properly ventilated mold can form. Mold tends to cling to any organic material such as drywall, ceiling tile, wallpaper or natural fiber carpet padding. Mold is particularly common to homes and businesses in the Miami area due to probable weather patterns that usher in heavy rain and storm damage. Aside from pipe busts, wet harsh weather can cause numerous purveyors of mold like flooding, roof leaks and excessive condensation. If you have experienced any of these events and you detect dankness in your home, contact a professional company for a free mold inspection and help safeguard your family. Can Mold Make My Sick? Mold poses a number of health risks and should be taken very seriously. An article by CBS News highlighted the fact that, in many cases, mold damage concerns lead businesses and organizations to close their doors or shut off areas until the room is mold-free. In this case parts of a Gary, Indiana school were shut down to protect the health of students and faculty. Weeks prior to the shutdown, a busted boiler erupted leaving what health inspectors described as a “strong, musty odor”. This part of the school was locked and sealed for one main reason: mold is dangerous. Certain molds produce mycotoxins that can have disastrous consequences on the health of humans and animals. Exposure to mycotoxins can contribute to neurological problems and in some case cause death. In fact ‘Clueless’ actress Brittany Murphy and her husband both died from mold growing in their bedroom. If you or any family members experience one of these symptoms and you had a recent flood in the home or the rooms have a musty odor, call for a mold inspection immediately. No matter how mesmerizing those water marks may be on your walls, call your local mold remediation company for a free inspection. Mold spores could be growing inside your walls. Don’t wait for those little black spots to start forming around Boba Fett’s cape. Put out a bounty on mold and call a local expert today!